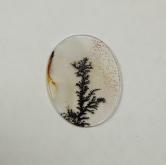 Clarity Thin transluscent with crisp dendritic pattern! 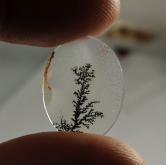 Cut: Flat oval shape cabachon. 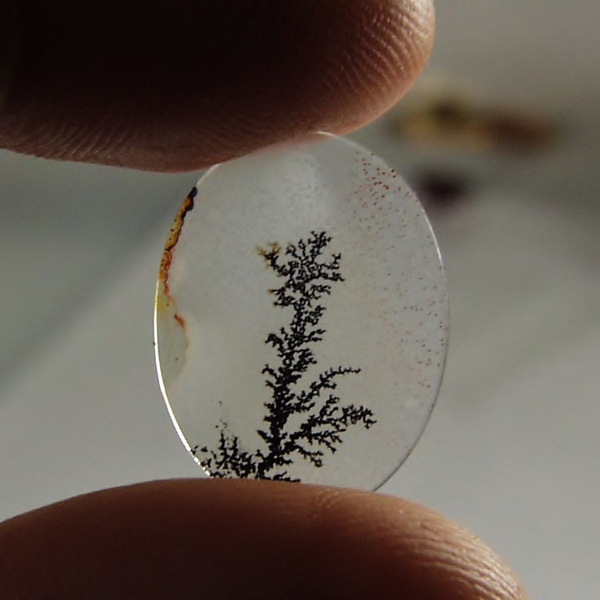 Note: Dendritic Agate is a form of Chalcedony Quartz in which the included dendrites form a landscape-like image. The scenes are usually in tones of black, brown and red. 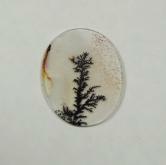 Fine scenic Agates can be very valuable and are highly prized by jewelers and collectors. This gem was carefully hand crafted and polished to display the best possible scene.